The United Arab Emirates (UAE) topped the official 2014 foreign development-aid list as world’s largest donor, according to figures from the Organization for Economic Co-operation and Development’s (OECD) Development Assistance Committee (DAC). A press statement issued by the UAE Minister of International Cooperation and Development and Head of the UAE Committee for the Coordination of Humanitarian Foreign Aid, Sheikha Lubna bin Khalid Al Qasimi, revealed that the Gulf statedonated $4.89 billion in 2014, equivalent to 1.17 percent of its Gross National Income (GNI) to top the global aid chart. “This confirms the UAE’s commitment to its global development mission and to the principles on which UAE was founded. 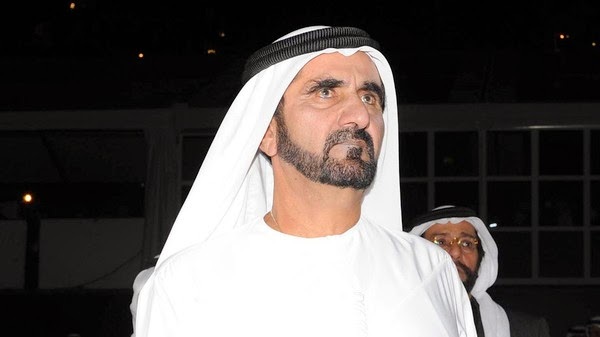 We will continue to reinforce our position as a global hub for humanitarian relief for all those in need of our help,” Vice-President and Prime Ministerand Ruler of Dubai,His Highness Sheikh Mohammed bin Rashid Al Maktoum said in a statement. He also lauded the generous spirit of the President His Highness Sheikh Khalifa bin Zayed Al Nahyan. Sheikh Mohammed bin Rashid pointed out that besides its strong levels of official development aid, the UAE is also home to numerous humanitarian and charitable institutions, and a global humanitarian city. He emphasized that the UAE does not offer assistance conditionally, and cares only to promote welfare and stability for all people. “The UAE was founded on the principle of doing good. Its leaders have always been passionate about helping people. We expect nothing in return for we are driven and guided by the principles of Islam and our Emirati national values,” Sheikh Mohammed bin Rashid said. In the data released on Thursday, April 9, Sweden placed second, providing 1.10 percent of its gross national income, Luxembourg came third with 1.07 percent, followed by Norway in the fourth position,providing 0.99 percent. Denmark placed fifth with 0.85 percent, while the UK was ranked sixth with 0.71 percent. The Netherlands was seventh with 0.64 percent of its national income.